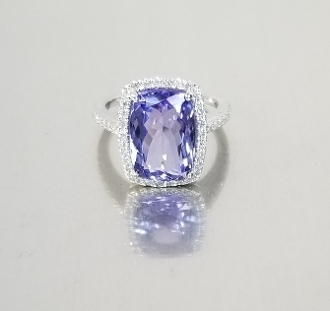 This tanzanite ring is set in solid 14 karat white gold and white diamonds. Total tanzanite weight is 4.12ct. Total diamond weight is 0.30ct. Please allow 6-8 weeks for production.